One of the special features on the DVD of Jean-Luc Godard's Week End (New Yorker Video label) is a short interview with director Mike Figgis (Leaving Las Vegas). Halfway through the interview, after pointing out the iconic and technical significance of Godard's body of work, Figgis makes a fascinating aside: Godard's recent reaffirmation as a "modern" filmmaker is a direct result of his singular commitment to expressing a cavalcade of ideas without ever giving his audience a shred of attention or consideration. In short, Godard was the uber-artist for employing tunnel vision in his approach to the medium. Yes, he was a philosopher and a technical wizard in the art of filmmaking. But audience engagement was the last thing on his mind. Godard never aimed to capitalize on a single idea or selling point--he wanted to avoid making industries of such things. So you can see why I sat up and panicked. It's December of 2011. The new year is days away. Further technological advancements in the democratized field of filmmaking will be made. More intuitive online platforms for artists' exposure will surely be founded. Our storytelling 2.0 model of audience building, engagement and replenishing will evolve. But all of this has one main theme at the center: an "all-encompassing" work ethic. Today's filmmaker has a lot more on his to-do list than Godard did. FREE CINEMA NOW was created in reaction to an independent new media movie industry that was teetering between self-depletion and a seismic cultural breakthrough. I wanted to (and still will!) curate and sustain a dialogue with my peers that would enlighten, inspire and provoke action in our new roles as "content creators." All of the posts on FREE CINEMA NOW suggest the plans, possibilities and problems that come with our new industry. Yes, it's easier than ever to create a film (prosumer cameras!). Yes, it's even easier to get your work out there (YouTube. Vimeo. Do I need to go on?). But are enough independent filmmakers walking through these doors of opportunity? Even if they are, the more important questions are: Are they making it count? Are they creating an exciting cultural tidal wave for industry reform? Are those cross-promotional windows creating real revenue streams? I personally think that a cultural shift has in fact occurred. I feel that our audiences have gotten over their dependency on Hollywood's model of big stars and big weekends. They have even lost their itch for the old independent model of festival-prestige titles getting their moment in the sun. Today's audience is a tidal wave of new media brains that is far more complex to please. People are now connected to multiple physical and psychological platforms. From niche social outings to focused LinkedIn groups online, the new media individual is not phased by a flux of information or content. Thus, the new moviegoer is insanely sophisticated. In the 60s, Godard stopped the presses by abruptly introducing text on the screen. 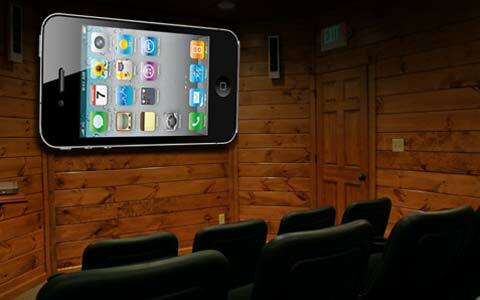 Today's moviegoer is trained to watch a film on YouTube, disassociate the in-window advertisements and actively participate in the live comment feed beneath the streaming content. They sleep with an iPad or mobile device within arms reach. They are ready for aggressive content consumption. And fellow filmmaker, you better bring it. So I suppose my real concern is this: If a true artist--like Godard--can only be preoccupied with one's own vision or idea, where does that put us storytellers 2.0? Our "vision" or "idea" is usually the film itself. But nowadays that film is just the tip of the iceberg. A larger narrative is built around the edges of that main piece of content (i.e. the film); this narrative requires us to be transparent in our execution. Every shred of concept exists somewhere--in a Facebook post or in a Tweet--and our own narrative of brand-building is tracked by an RSS Feed of some sort. Yes, we may have lost the mystery of yesteryear's filmmakers but have we lost our artistic relevance? I don't think we have. If anything, what we have lost is a way to give our new work-flow the heft that it deserves. We all are self-franchises now. Our art can never be the kind of one-sided rhetoric that Godard or Kartovsky or Antonioni could build a foundation on. We can certainly emulate those artistic voices in our work--but these figures can never overwhelm the larger all-encompassing canvas that we are each creating. We are now the new radicals. All of our work is on the line and--more dramatically--out in the open. How's that for artistic bravura? Note: I loved the analogy that this video below impressed upon me. Every piece of content helps create the larger canvas of us--the filmmaker, the artist, the icon.